Robert Frank, one of the most influential photographers of the 20th century’s postwar years, revolutionized classic reportage and street photography. Over a period spanning six decades, this Swiss - American artist created photographs, experimental montages, books, and films. The Albertina is showing selected works and series that trace Robert Frank’s development: from his early photojournalistic images created on trips through Europe to the pioneering work group The Americans and on to his later, more introspective projects, over 100 works will serve to illuminate central aspects of his oeuvre, which has never before seen presentation in Austria. Dynamism and Contrasts Born in Zurich in 1924 to a German - Jewish family, Robert Frank was granted Swiss citizenship only just before the end of the Second World War. He began his training as a photographer in 1941 and received thorough schooling in the profession’s tools and techniques. The motifs of his initial documentary pictures, which were devoted to national identity as symbolized by parades and flags, proved to be ones that he would return to later in his career. Upon his emigration from Switzerland to the USA in 1947, the artist established an expressive pictorial language that broke with that era’s photographic conventions, which were defined in terms of refined composition and perfect tonal values. At the suggestion of Alexey Brodovitch, art director of Harper’s Bazaar, Frank began using a 35 mm Leica that enabled him to adopt an intuitive and spontaneous way of working. The result was a new pictorial language char acterized by strong contrasts, dynamism, and blurry images. He went on to produce work groups such as People You Don’t See (1951), in which he devoted himself to the everyday lives of six individuals from his Manhattan apartment complex. A reportage on London (1951 – 1953) characterizes this metropolis by way of the contrast between wealthy bankers and people from the lower classes, and Great Britain was also the setting of his series on the hard daily life of Welsh miner Ben James (1953). By way of contrast, Frank’s photographs from Paris (1949 – 1952) feature a more lyrical tone. Thanks to his intuitive approach to photography, Frank’s works lend expression to a decidedly subjective gaze featuring a personal take on what he experienced and saw. the photograph Trolley, New Orleans was taken just a few weeks before the African - American activist Rosa Parks refused to give up her seat on a bus in Alabama to a white passenger. It was among 27,000 negatives from 767 rolls of film that Frank chose his best pictures. The contact sheets and working prints from this project make clear how systematically he proceeded in creating his images, and they also allow one to reconstruct the processes by which he shot and selected them. Around half of his eighty final works can be seen in the present exhibition. With his 1958 photo series From the Bus, which contains photos of passers - by casually taken from a moving bus, Frank set off in a new, more experimental direction. And eventually, in no small part due to his dissatisfaction with the limited possibilities of individual pictures, he abandoned photography and turned to film. There, Frank often used his own photographs in order to examine his memories and past, producing several autobiographical filmic essays. 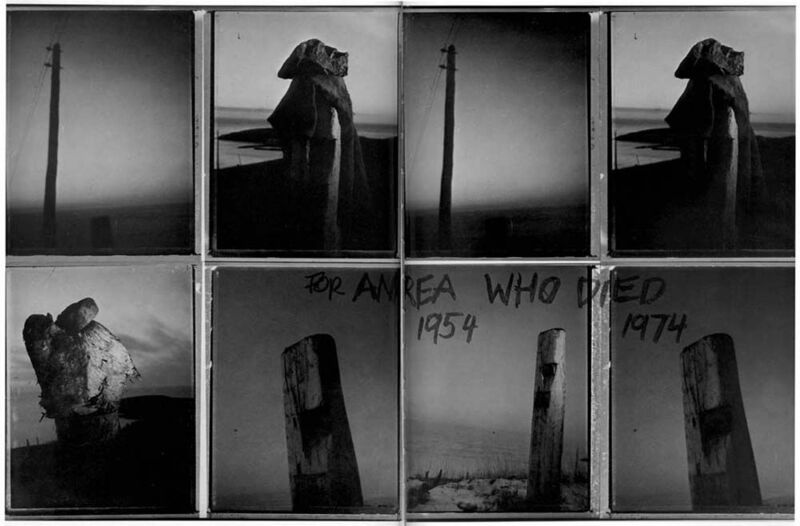 Upon his return to photography at the beginning of the 1970s, the form and content of his works changed yet again: autobiographical themes such as the tragic loss of his children are visualized via multi - image montages and sequences that frequently also contain texts. In these, Frank succeeded in poetically amalgamating different media and their influences upon one another. The Austrian Film Museum will be presenting a comprehensive retrospective of Robert Frank’s filmic oeuvre in cooperation with the Albertina from 10 to 27 November. Robert Frank (b. November 9, 1924, Zurich, Switzerland) ranks among the most influential photographers of the postwar years. The photographs, artist books, and films he created over a period of six decades were conceived in reference to one another. This exhibition presents an overview of the artist’s most important phases as a photographer, which in addition to photojournalistic works and reportages also comprise conceptual series and experimental photomontages. The focus is on the period between the1940s and the 1980s, during which time Frank revolutionized conventional reportage and street photography. After a profound training as a photographer, the artist emigrated from Switzerland to the United States in 1947 There he established an expressive pictorial language that broke away from conventional photography, which defined its elf by elaborate compositions and perfect tonal values. In what was an intuitive photographic practice, he lent expression to a decidedly subjective vision emphasizing his personal experiences of what he had seen. Frank’s pioneering group of works entitled The Americans, published as an artist book in 1958/59, marks a climax of this development. Shortly afterwards Frank abandoned photography in favor of film and only came to revisit the photographic medium from 1972 on. In Frank’s films and books, his photo graphs have undergone recontextualization. In their combination of photography, text, and graphic design, his photo books exhibit progressive pictorial solutions placed on an equal footing with his photographic prints. 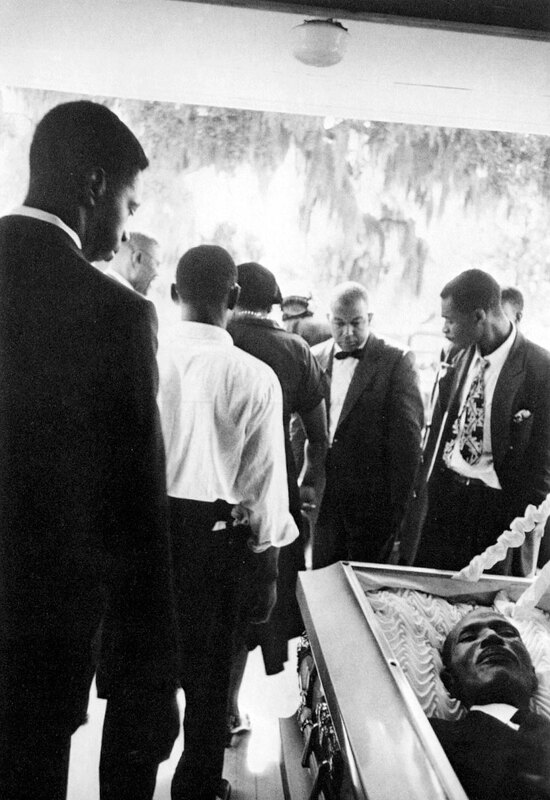 In his films, Frank frequently used h is own photographs to explore his memories and past. Juxtapositions of the various media reveal their mutual interdependence. If not indicated otherwise, all photographs are gelatin silver prints. Starting in 1941, Robert Frank learned the technique of photography in the studios of several Swiss photographers. Under the influence of Michael Wolgensinger, a commercial and reportage photographer, he made his first documentary studies on Switzerland. F rank photographed then - popular themes, such as landscapes, sporting events, festivities taking place on national holidays, and the local population in traditional costumes. These pictures are to be seen in the context of the country’s so - called “spiritual national defense,” an ideology that had been promoted by the Swiss government since the mid - 1930s and was meant to strengthen patriotism and the people’s opposition against National Socialism through a revival of national values. Pictures of parades and fl ags addressing issues of national identity and such stylistic devices as a low camera angle already anticipated later works. Coming from a Jewish family, Frank only became a naturalized Swiss citizen a few days before the end of the war (his father, who was from Germany, was stateless due to the “Reich Citizenship Law” of 1935). Both his family’s experience and fears related to the threatening closeness of Nazi Germany and Switzerland’s intellectual and cultural narrow - mindedness led to his emigration to the United States in 1947. After moving to New York, Robert Frank worked as an assistant photographer to Alexey Brodovitch, the art director of Harper’s Bazaar, for several months. Upon the latter’s recommendation, Frank began using a 35mm - Leica, which facilitated an intuitive and spontaneous approach to photography. This resulted in a new pictorial language marked by stark contrasts, dynamism, and blurry images. In New York and during his travels through Europe, Frank shot pictures intended for publication in magazines. Influenced by the works of Henri Cartier - Bresson and André Kertész, he took lyrical photographs of flowers, park chairs, and pedestrians in Paris between 1949 and 1952. Whereas having still captured the French metropolis in the form of individual impressions, Frank conceived comprehensive narratives when in England. In London he focused on wealthy bankers (1951 – 53) staged in nuanced grays and elegant compositions. By contrast, at around the same time he also produced a series of pictures showing the Welsh pitman Ben James (1953). Contrary to the ambition of conventional reportage photography to deliver special moments and social messages, his photographs, thanks to their expressivity, convey the immediate experienc e of the miner’s harsh working life. Due to the formal radicalness of his pictures, most magazines refused to publish them. Frank selected some of them for his artist book Black White and Things which was designed by the Swiss commercial artist Werner Zryd. The linear and narrative structure of photo books common at the time was neglected in favor of associatively composed chapters and subjective sequences of images. 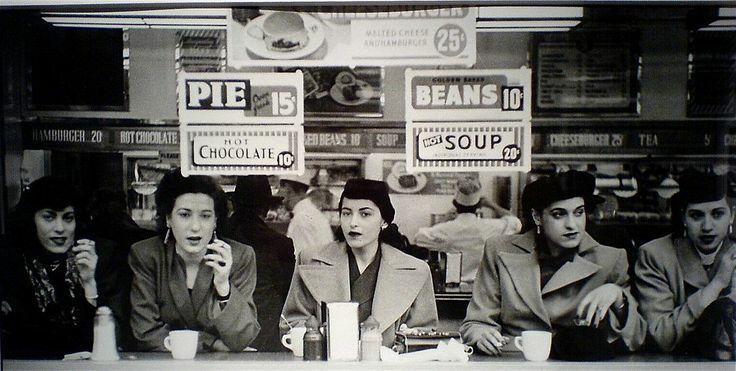 Robert Frank conceived the series People You Don’t See in 1951 for a competition organized by Life magazine. In these pictures, Frank described the daily routine of six individuals living and working in his Manhattan neighborhood. He modeled the pictures on popular photo - essays telling thematically clear - cut stories, wit h an introduction, a body, and a conclusion. That the photographs were complemented by explanatory captions was untypical of Frank. Due to its narrative layout, People You Don’t See is one of Frank’s classic series. However, what is unusual in the context of picture reportage is how he concentrated on the realities of everyday life, which can also be encountered in other works by Frank. Disappointed that magazines had declined his reportages, Robert Frank applied for two Guggenheim scholarships upon the recommendation of the photographer Walker Evans. They allowed him to undertake three extensive journeys across the United States from which his hitherto most ambitious and radical project emerged. Announced by Frank as a “visual study of civilization,” it exposed characteristic aspects of US society during the Cold War in terms of patriotism, racism, religion, politics, consumerism, and leisure culture. If the artist had explored social patterns with a subjective gaze in earlier works, he now sharpened his approach: he took to spontaneously photographing ordinary motifs of high symbolic content, frequently without looking through the viewfinder of his 35 - mm camera , and reversed their meaning through his grim imagery. Such patriotic motifs as flags are described as trivial; politicians are characterized as egomaniacal and narcissistic; the inhabitants appear lonely and isolated. Frank’s style developed in line with contemporary US - American art. Similarly, intuition and improvisation were central devices in Beat literature and Abstract Expressionism. Moreover, in the 1930s and 1940s the photographers of the Federal Security Administration (FSA) had already captured ma rginal groups of society in momentary pictures to formulate a visual critique of American society. In 1958, Robert Frank released eighty - three photographs from his Guggenheim trips as a book that first appeared with the French publisher Robert Delpire. In allusion to Henri Cartier - Bresson’s publication Les Européens, Delpire chose the title Les Américains. The following year the English edition The Americans was published by Grove Press. Both titles are considered incunabula of the artistic photo book genre. Robert Frank defined the format and layout, with a single photograph appearing on every right - hand page. He divided the book into four parts, each of which addressed themes of his personal view of America. As had already been the case with his book Black White and Things, the layout broke with the conventional, narrative form of a book, as the artist grouped the pictures according to thematic, formal, conceptual, and language - based criteria. In the French version, the photos were combined with texts criticizing America by such authors as William Faulkner, Simone de Beauvoir, and Walt Whitman against Frank’s will, which placed the pictures in a socio - documentary context. The American edition, on the other hand, was solely accompanied by an introductory text by Beat poet Jack Kerouac. Upon its appearance, The Americans met with fervent criticism. Frank’s perspective of the United States as a Swiss and thus as an outsider conflicted with the country’s self - portrayal and self - perception. 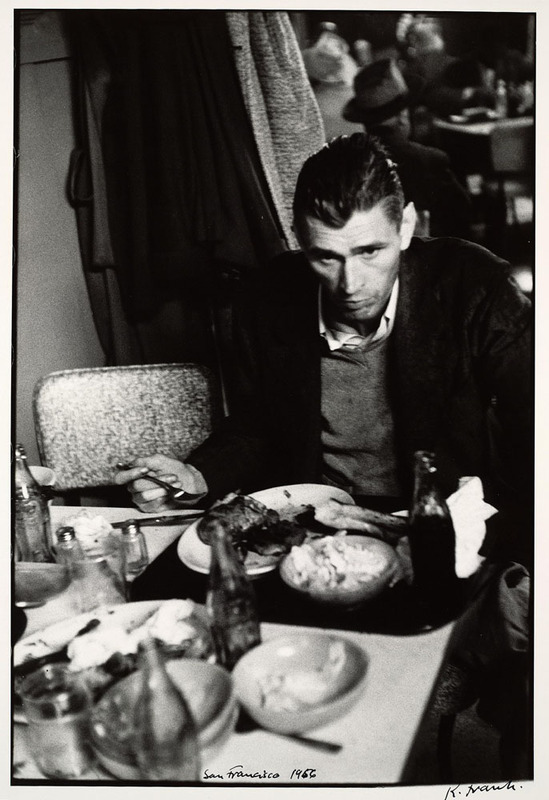 In contemporary reviews, the photographs were described as documents of maliciousness and hopelessness, and Frank was identified as a morose man hating America. At the same time, the publication was greatly praised amongst professional circles and has received wide and lasting response since the 1960s. The harvest of Robert Frank’s photographic travels through the United States took up 767 rolls of film. Relying on contact sheets, the artist examined the 27,000 negatives these rolls contained and picked one thousand pictures, which he developed as small - form at work prints. These were narrowed down further to a selection of just under one hundred final prints. The contact sheets and work prints allow us to reconstruct the genesis of The Americans and shed light on Frank’s working method. While the photographer sometimes achieved a satisfactory result with the first push on the camera button, he occasionally captured the same motif a number of times before he chose one of the pictures. The lack of definition and faulty exposure of many negatives leave no doubt bout Frank’s intuitive approach. The unceasing repetition of individual motifs evidences how methodically the artist proceeded in some cases. Before setting out, Frank had already defined such highly symbolic motifs as flags, cowboys, motorbikes, parades, and politicians, which he continued to photograph after the end of his travels to complete their range. On Independence Day, the Fourth of July, he returned to Jay in the north of the state of New York, for example, to photograph a transparent flag. Afraid of repeating himself and dissatisfied with the limited possibilities of the single image, Frank abandoned photography and turned his attention to film after the publication of The Americans. Coney Island and From the Bus are two of his last groups of works before he began to pursue a career as a filmmaker. Coney Island captures the leisure and entertainment neighborhood in the eponymous borough of Brooklyn in New York City on Independence Day, the Fourth of July. Frank’s gloomy photographs emphasize the bleakness of the place and aspects of human solitude instead of rendering the joyful festivities and the patriotic attitude traditionally displayed on the national holiday. His focus on the predominantly Afro - American population reflects the artist’s disillusionment with racism, which he had been confronted with repeatedly when travelling the United States. Whereas Coney Island seamlessly follows in the vein of the pictorial language that characterizes The Americans, the serial conception of From the Bus clearlyanticipates Frank’s turn toward film. The series pictures passing people casually shot from a New York City bus. The representation of unspectacular moments, “unartistic” compositions, and photographing along a prede fined route already prefigure the conceptual photography of the 1960s. 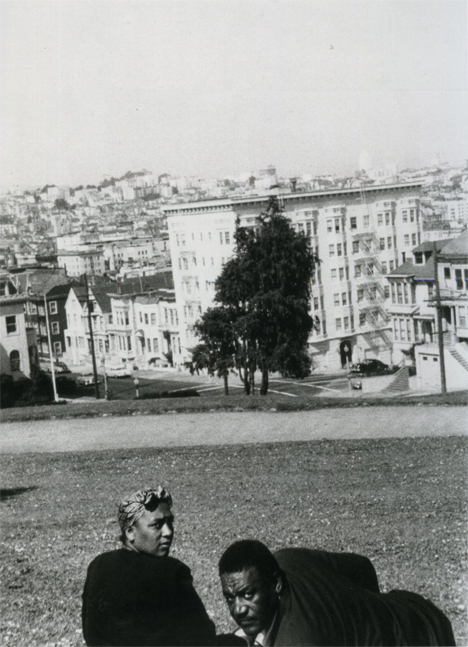 After feature films like the beatnik piece Pull My Daisy (1959), Robert Frank shot a series of autobiographical essay films. In these films he often used his own photos to deal with his personal memories, family history, or attitude toward his work as an artist. In Conversations in Vermont (1969), we find Frank filming pictures from his cycles London, Paris, and The Americans as he seeks to fathom his role as a father and artist. Visiting his children, Andrea and Pablo, in the state of Vermont, he confronted them with his iconic photographs. Andrea and Pablo reacted evasively and were hardly interested in the pictures and their father’s past. This meeting led Frank to admit that he had pursued his career as an artist without showing consideration for his family. The video Home Improvements ( 1985) is one of Robert Frank’s autobiographical works in which he deals with his life in a diary - like manner. The melancholy piece revolves around Frank’s worries over his wife June Leaf and his son Pablo, who were in the hospital at the time. At some point, the film refers to photographs showing mainly Pablo and pictures from the series The Americans. 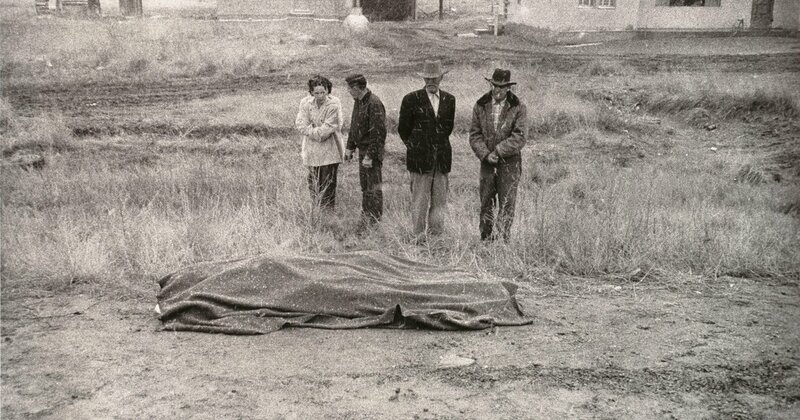 He used these photographs to inquire into his past and the public perception of his work as an artist. For example, we see Frank filming a friend brutally drilling several holes through a batch of older prints. This act is to be read as a comment on a fierce litigation he conducted against a group of gallery owners in the early 1980s. He had sold the rights to his photographs to them in 1977 in order to fund h is films. When the gallery owners started turning the pictures to account against Frank’s intentions, he put up a struggle against the loss of control over his oeuvre and its commercialization going hand in hand with it. Though he finally succeeded, he found himself unable to trust in the art market from that time on. 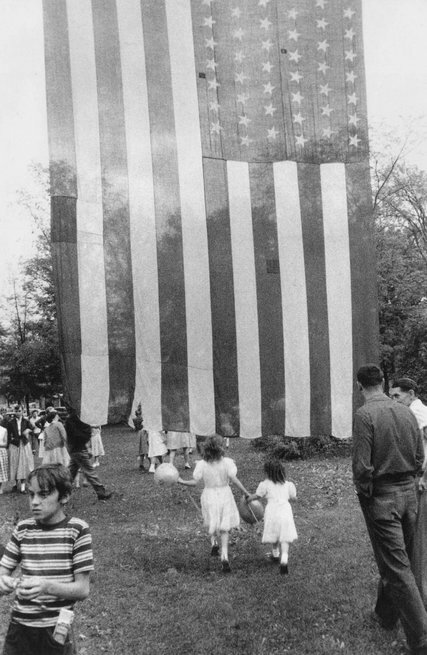 In the early 1970s, Robert Frank began to take photographs again. Single pictures gave way to experimental montages in which he combined pictures with words and sentence fragments. Now using a Polaroid instant camera, Frank exposed several negatives on the same paper or mounted photos next to one another. He also inscribed and scratched the negatives and prints. Both the photographer’s subjective comments and the montage technique were owed to the influence of his filmmaking. Pictures of his immediate surroundings lend expression to the artist’s world of inner emotions. and For Andrea 1954 – 1974 visualize the artist’s emotions about the early death of his daughter, who died in a plane crash in 1974. 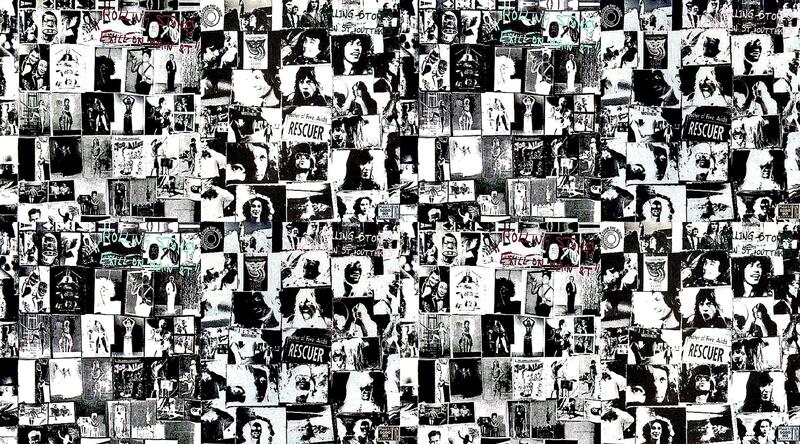 His work also reflects the great strain under which the artist suffered due to his son Pablo’s progressing physical and mental illness and his death in 1994.
the montage on the back cover for the group’s album Exile on Main Street. In the case of the photo work of the same name, for which Frank again fell back on the picture of the priest, he duplicated the photograph and combined it with a line from the song “Sweet Virginia,” to be found on the Rolling Stones’ album. The work testifies to the use of older motifs in different contexts so typical of the artist’s late work. Robert Frank’s book The Lines of My Hand came out in 1972. Originally published by Yugensha in Japan, its American edition was put out by Lustrum Press. The volume assembles pictures from all periods of the photographer’s production under subjective aspects. Like the photographs and films of that time, the personal arrangement of the pictures and their combination with diary - like texts serve as vehicles for the artist’s introspective self - reflection. The confrontation with his old pictures during his work on the book triggered a new return to photography.